It is here! 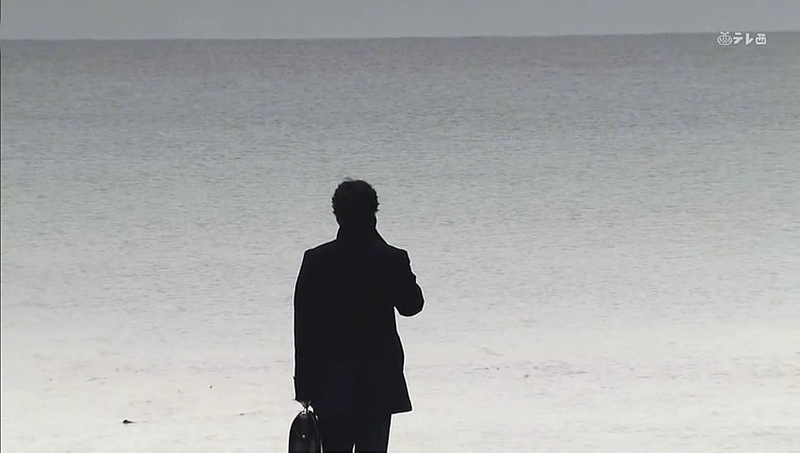 The penultimate episode. For those who don’t know, I love the word penultimate. It’s just a really fancy word to say that which comes before the final whatever. So after this episode, there is only one more left. I will be slightly sad to see this drama go. It’s dark, it’s got great cinematography, and masterful acting. I wasn’t too familiar with Ichihara Hayato or Hayase Kento before. 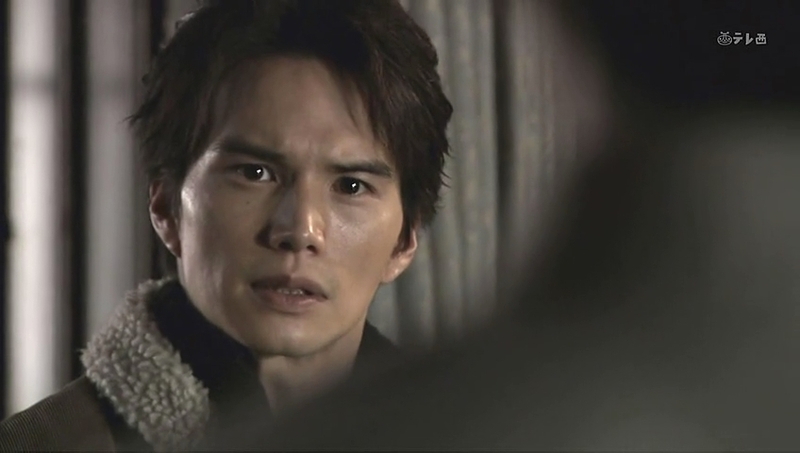 Ichihara is a wonderful actor and Hayase… I think has potential room for growth with his acting as Ryo. He’s not horrible, but nor do I think he’s as good as he could be. I won’t say too much about Saito Takumi because I already knew he was a great actor as I’ve watched quite a few of his dramas and movies. Isao tells big brother that he needs to do this for not only Mitsuru, but himself as this is the only way he could possibly beat their father. This surprises Mitsuru. Does this mean that he’s starting to believe that Isao might not have set him up? Who knows? 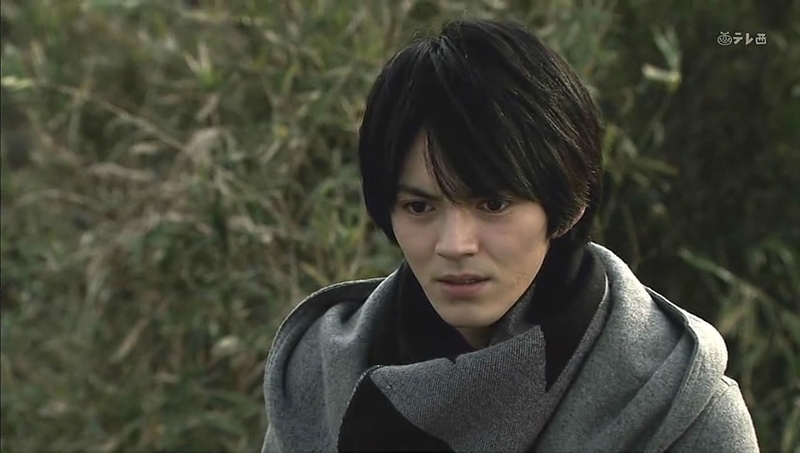 Ryo puts flowers on his mother’s grave and turns to face the servant from earlier. She tells him that she has been thinking about his mother non-stop since Ryo’s visit. To her, Shiori was an honored person. Ryo bows and thanks her for telling him the truth. The woman is still not comfortable that she did tell him. She has been agonizing over whether or not she had done the right thing. Ryo admits that learning the truth was very hard on him, but he feels glad that he does know now. This has inspired him even more to become strong to protect the people he loves. 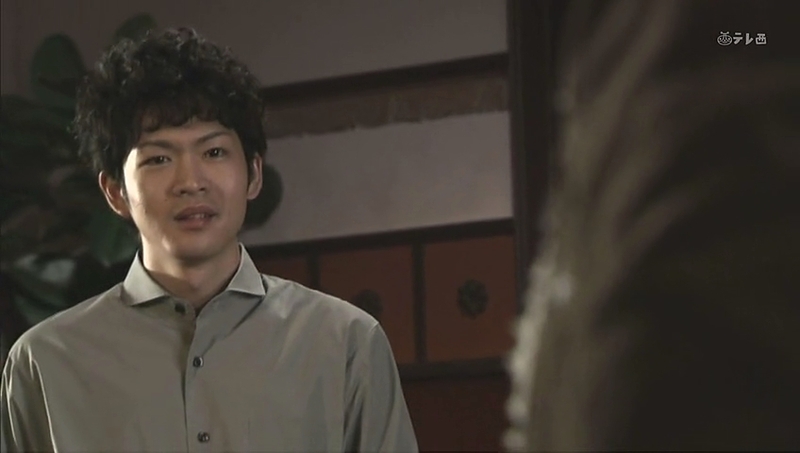 The servant smiles and says that Ryo is definitely Shiori’s son as he has inherited the woman’s kindness. Ah. Brief pause. I’m not saying that Shiori didn’t use protection, but how is there a guarantee that either of her children are Bunzo’s if he pimped her out? Anywho, we then flashback to when the servant still worked in the Kurosawa household. Yaeko and Shiori were setting the table for dinner when Bunzo and one of his women came in. The other woman demands money from Bunzo, quite a hefty sum at that. Bunzo refuses and throws her to the ground before heading upstairs. 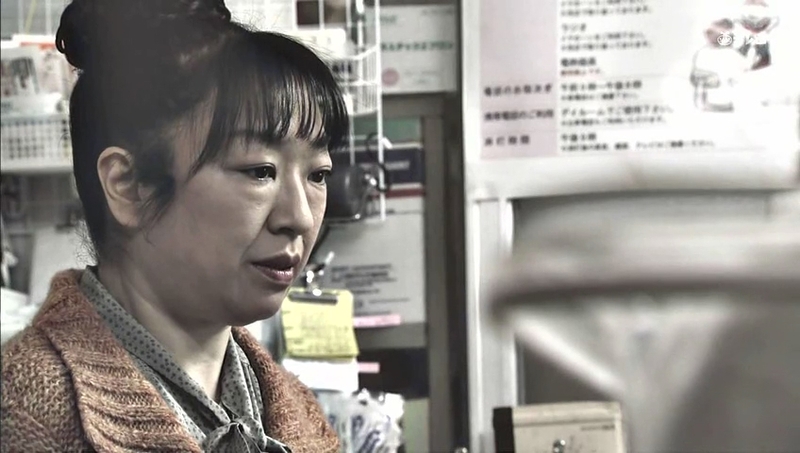 Shiori goes and asks if she is okay, but the woman only has scorn for Bunzo’s wife and leaves. Shiori then rushes over to a drawer and pulls out an envelope of money and asks Yaeko to give it to the woman who just left. Ryo asks why his mother did such a thing. Because the other woman was pregnant. That money saved the baby’s life. Snap. Now we learn that there’s another Kurosawa running loose in the world. Probably another boy. I would be shocked if the baby was female, but you never know. 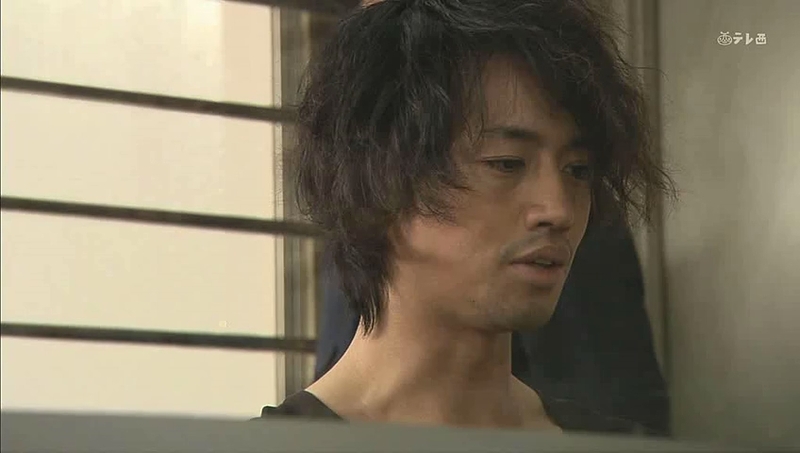 Isao is leaving the police station as Kanako is entering. Awkward moment after their last meeting. Both apologize for what happened. Kanako then heads in to meet Mitsuru while Isao heads out. He does look back with what looks like a smug smile. Seriously. This man is too ambiguous at times. Kanako sits down across from Mitsuru and asks if he’s all right. Mitsuru says that he is and asks after her. This surprises Kanako. Mitsuru says he has caused her a lot of trouble and worry and then apologizes to her for just disappearing. Even though it was wrong of him, he couldn’t bring himself to face her before going as that would only have weakened his resolve. Kanako then breaks the news that she’s been thinking of moving out. It’s been on her mind for a while now, and she believes this is what is for the best. She smiles sadly and says she tried to force Mitsuru to change instead of seeing him for who he really was. She apologizes for doing this. Mitsuru says that he wanted to become a man worthy of Kanako, but the more he chased the ideal, the more he realized what a coward he was. 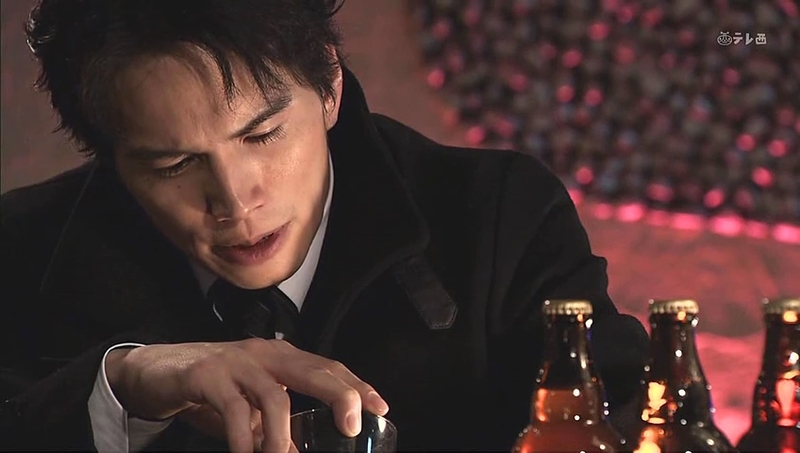 Kanako quickly asserts that he isn’t a coward as he always gives priority to others and knows their pain. She then tells him that she appreciates his kindness, but has realized that she is not the one who can bring him happiness, so she will not wait for him. This causes both of them to tear up. 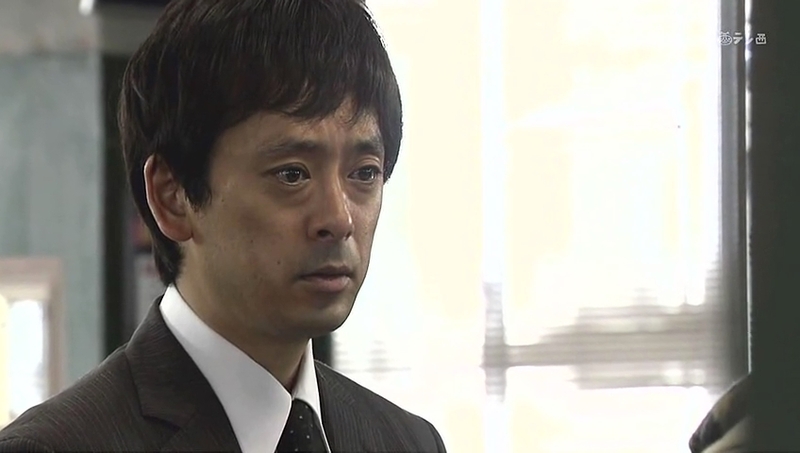 Mitsuru says that the entire time he spent with Kanako was sincere for him. Kanako smiles through her tears and says its funny that they can only be honest with each other now that things are coming to an end. 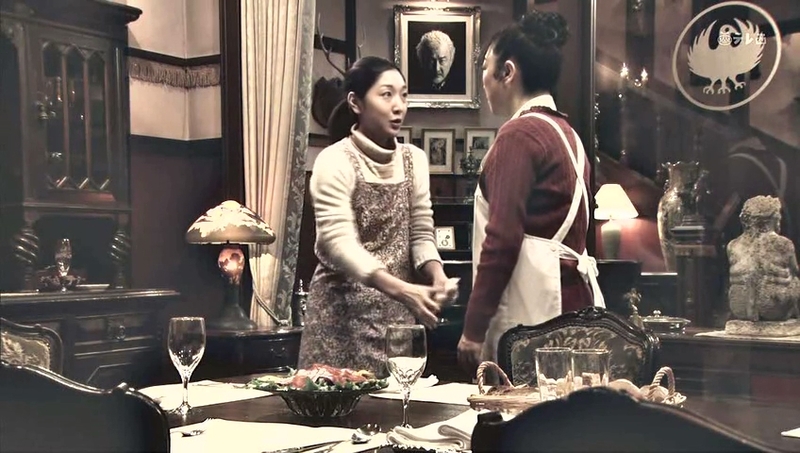 Kanako gets up to leave and Mitsuru calls out and says that Kanako already has a man who can make her happy. He’s clumsy, but he has always cared for her. Awww. Putting in a good word for little brother Isao. This really seems to make Kanako uncomfortable. 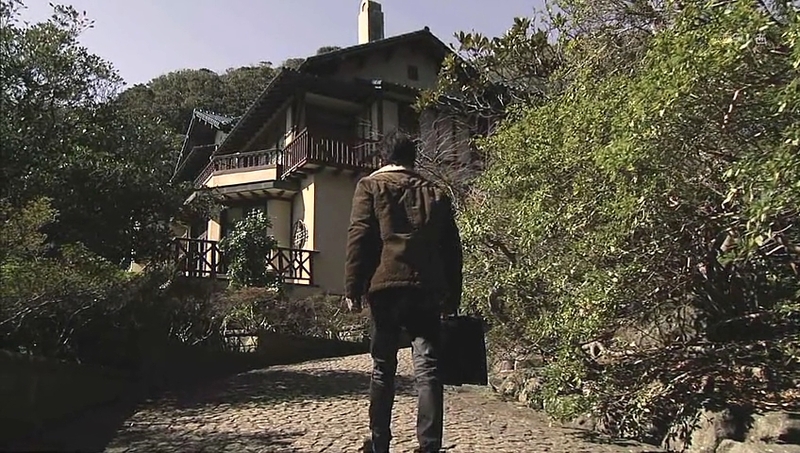 Isao arrives at the empty house and heads straight to his room where he begins preparing for the case with all the information he has about the night of the murder. 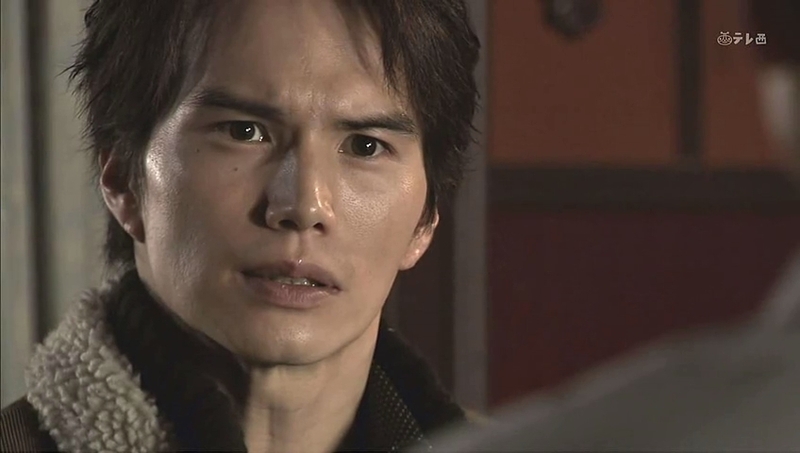 Writing out everything, Isao has a very worried look on his face. 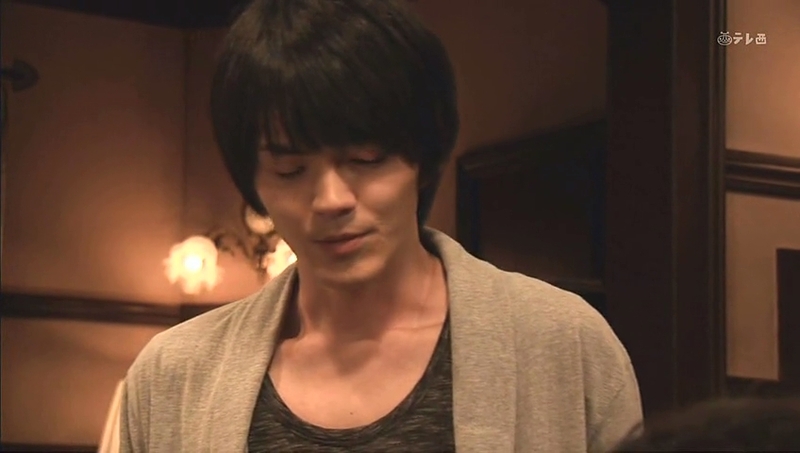 Enter Ryo who drops the bombshell that their might be another brother. We then flashback to Yaeko telling Ryo about how the mother died giving birth and the baby was sent to an orphanage since he had no relatives. Yaeko has no idea what happened to the child afterward. Isao says this news does not come as a surprise to him. Well, really, given Bunzo’s womanzing, it wouldn’t be surprising at all if there were several illegitimate children floating around. 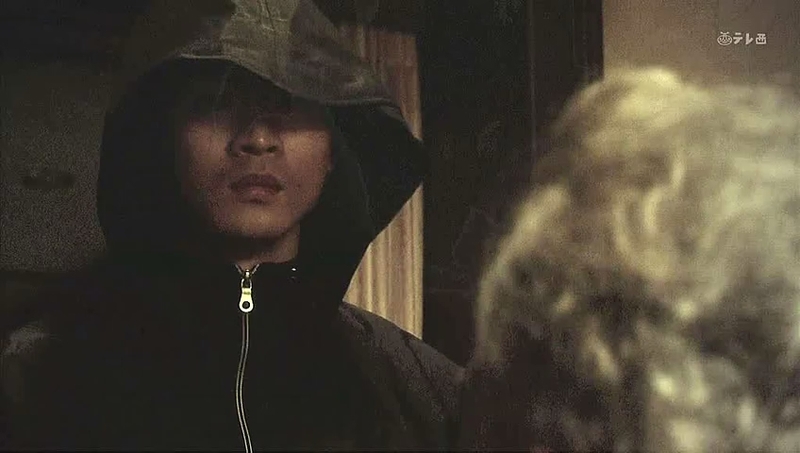 Ryo is determined to find this child and tell him of their father’s death. Isao agrees, but asserts that proving Mitsuru’s innocence is the most important matter at the moment. Ryo agrees to this and leaves Isao alone to continue working. In his own room, he goes searching in his coat pocket for something and sits down at his desk. Looks like it is Yaeko’s phone number. He calls her and asks for the name of the hospital where the baby was born. Looks like he’s not going to wait. Mitsuru is lying in bed and pounding the wall. His confession is lying there as well. 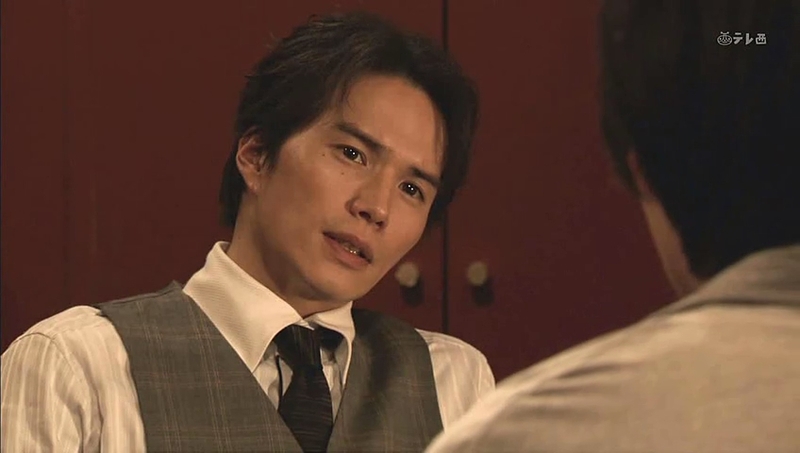 He recalls the night of the murder and Bunzo yelling at him calling him a murderer after Oguri’s spill down the stairs. He then also recalls Kurumi’s willingness to run away with him. Oddly enough, in these flashbacks, they don’t connect points A and C. So we don’t see Mitsuru go running out immediately after Oguri’s fall, nor do we see him killing Bunzo or doing anything else before meeting Kurumi. The next day Isao asks Mitsuru for more details. Did his older brother go anywhere like a bank or shop after the fight? No, because Mitsuru had wanted to avoid the public eye. Mitsuru asks Isao how things are going and Isao honestly replies that the evidence is stacked against Mitsuru. The oldest Kurosawa said he should have been calmer that day, but he lost his temper when his father talked about marrying Kurumi and having her under his control completely. Isao asks if Mitsuru losing control and hitting Bunzo had to do with Kurumi, but Mitsuru asserts it was only his own immaturity. Eh. Yes and no at the same time. Isao finishes up and says he’s trying to find an alibi for Mitsuru for the estimated time of Bunzo’s death so if his older brother can think of anything, let him know immediately. Mitsuru agrees to this and Isao tells him not to give up until the end. 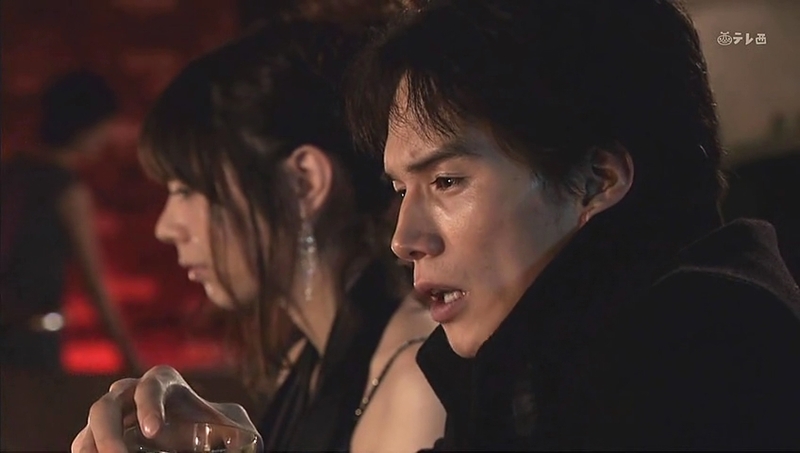 Mitsuru then reveals his discussion with Kanako and that he and her have finally broken up. This surprises and flusters Isao. Mitsuru then asks his younger brother to take care of Kanako. Isao agrees to this and finishes packing up his briefcase as Mitsuru is taken back to his cell. Isao heads to the beach and tries calling Kanako, but her phone is turned off. What a lonely scene. Ryo is back at home going through a list and trying to discover his newfound sibling. He’s calling up hospitals and asking for children born in a certain time span where the mother died and the child was sent to an orphanage. Can a hospital disclose that kind of information legally? He does not seem to be having any luck whatsoever as many of the places are already crossed off. Kanako is busy packing. She takes a break and checks her phone. She has one message from Isao apologizing for not being able to be by her side at this difficult time. He then asks to meet with her when everything is done so they can talk like they used to. Do you think Kanako will completely turn to Isao after breaking things off with Mitsuru? I can’t imagine that happening any time soon. 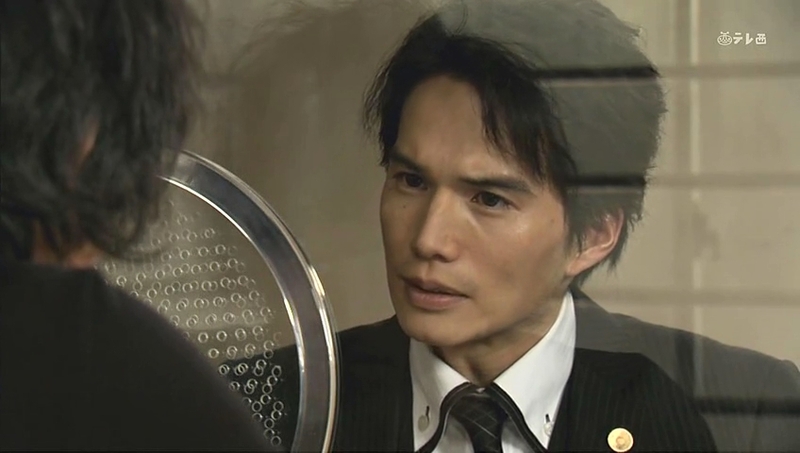 Anywho, Isao does also promise to keep Kanako informed about the progress of Mitsuru’s case. Kurumi heads to her usual haunt and is surprised to find Isao there waiting. What is going on? First Ryo sought her out and now Isao. The middle Kurosawa boy tells her he is reinvestigating the case from the beginning. However, it is still severe. Kurumi takes responsibility as she played with Mitsuru’s feelings and hurt him badly. Isao says that is definitely not what Mitsuru wants nor how his older brother thinks. Isao explains that Mitsuru was trying to save Kurumi from Bunzo that day. This makes Kurumi face him in surprise. Isao explains that Mitsuru didn’t want Kurumi to end up like Shiori who was used by Bunzo and then committed suicide. Kurumi calls Mitsuru an idiot as he won’t get anything for saving her. Isao says that is just the way his older brother is. Mitsuru has put up with cruel treatment his entire life, but when Bunzo shifted blame onto Kurumi, Mitsuru hit Bunzo for the first time in his life. Kurumi tears up and wonders if she can turn back the clock. She ignored Mitsuru’s calls as she had a hard time trying to stop thinking about him. The night of the murder she had free time. She checked her phone and heard Mitsuru’s message and knew something was wrong. If only she had answered earlier. If only. 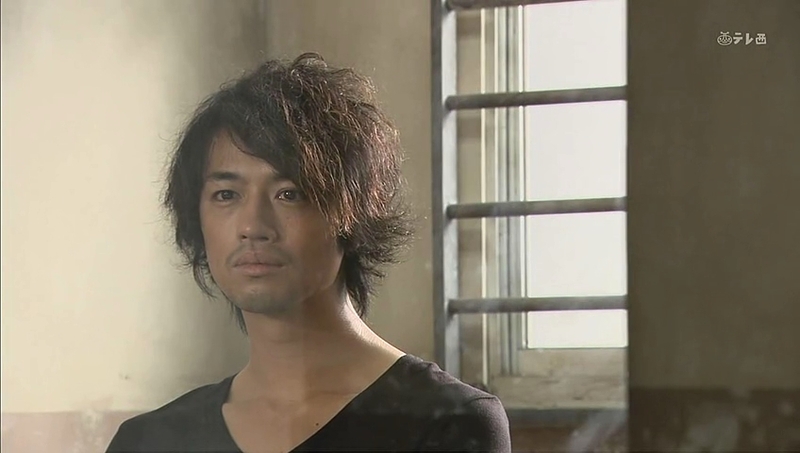 Isao then asks her to visit Mitsuru in jail as the eldest Kurosawa brother needs to see her. He then bids her goodnight and leaves. 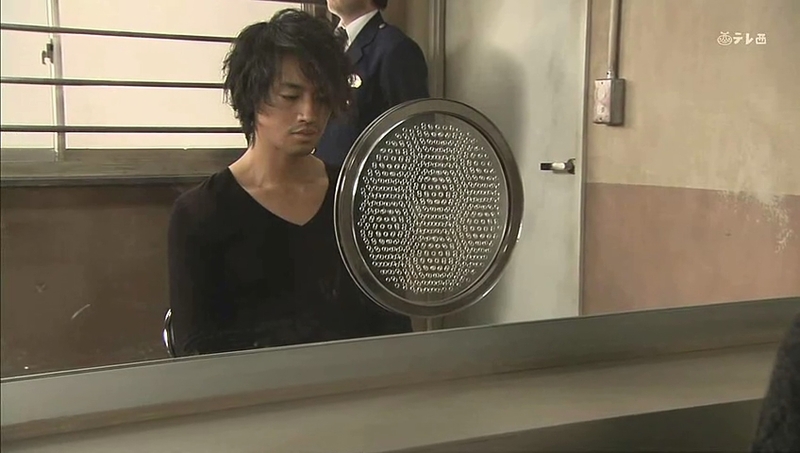 In the jail, Mitsuru is busy writing a letter to Kurumi. He apologizes for involving her in this mess and then thanks her for trying to run away with him. He tries to write about the future, but can’t bring himself to. He crumples the letter instead. 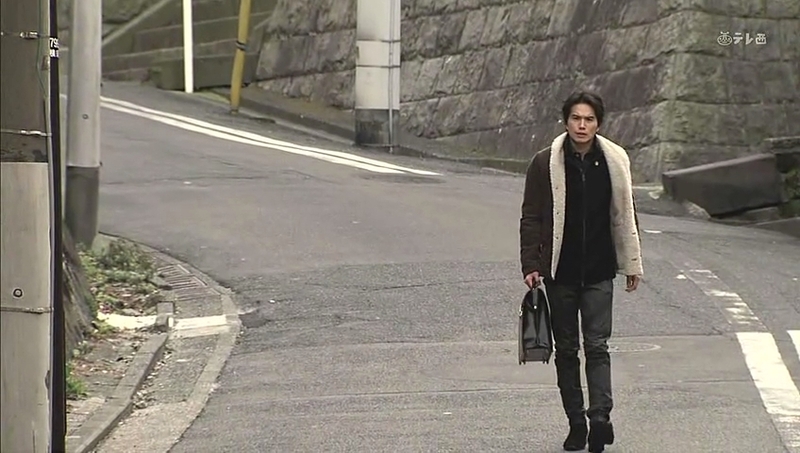 The next morning Ryo comes down and refuses breakfast as he’s a man on a mission. 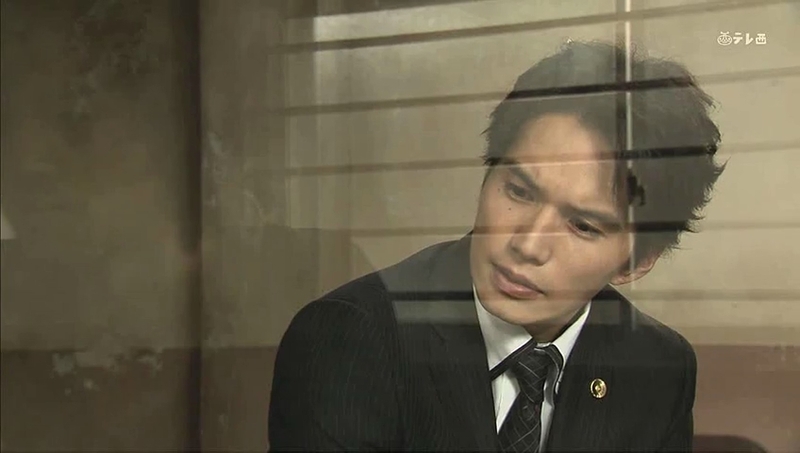 Oguri comes to say his farewells as he has pressing company matters to handle. Isao jumps up and quickly thanks Oguri for taking care of the company’s issues that he should be handling himself. Oguri says it’s fine and that he leaves all the housework to Suematsu. Oguri and Ryo take their leave. Suematsu chides Isao and tells him not to work too hard as he has just recovered. Another pause. There is yet another Kurosawa boy out there unaccounted for. Suematsu seems to have a somewhat unhealthy attachment to at least Isao. Coincidence? Am I reading too much in to the situation? Oy. So complicated. Okay. 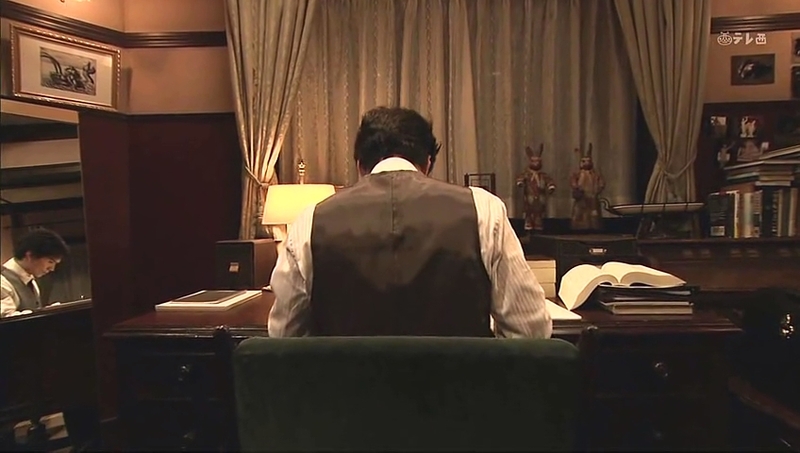 Isao is back in his room pouring over his notes where he sees that Mitsuru headed to the Kurosawa household after learning that Kurumi was supposed to be there. 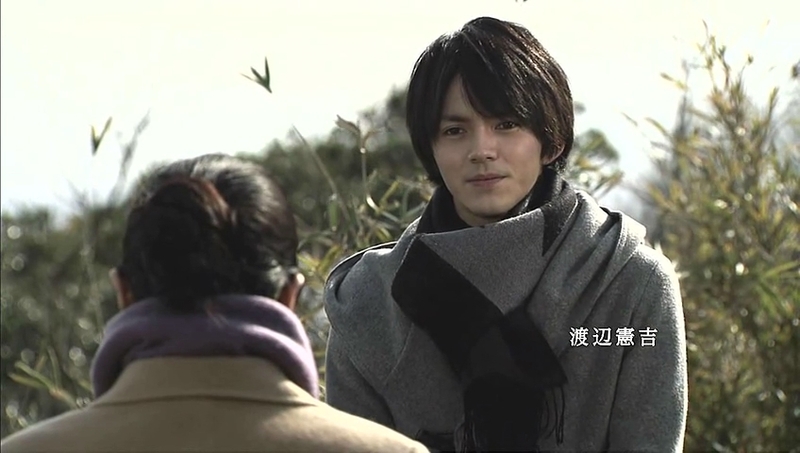 Isao recalls Kurumi’s earlier words about not having plans and picks up his jacket and rushes out. Ooooh. Loophole? Meanwhile, Ryo arrives at some apartment building. The plot thickens. We don’t get to learn anything right at that moment because we cut to Isao anxiously awaiting Mitsuru. Mitsuru asks what happened and Isao says he has something he must clarify. Isao runs all the way home. He pauses for a brief moment before slowly walking to the house and entering it. It is Suematsu, isn’t it? Isao looks at the empty dining room table and when he turns there is Suematsu. The young servant immediately sets our Russian tea that he had specially prepared for Isao. The middle Kurosawa brother cuts him off and asks if Suematsu talked to Mitsuru the day of the incident. Suematsu remains silent and Isao says that Mitsuru came to the Kurosawa household only because Suematsu told him that Kurumi would be there, however, Kurumi herself had no plans of visiting that day. Uh-oh. 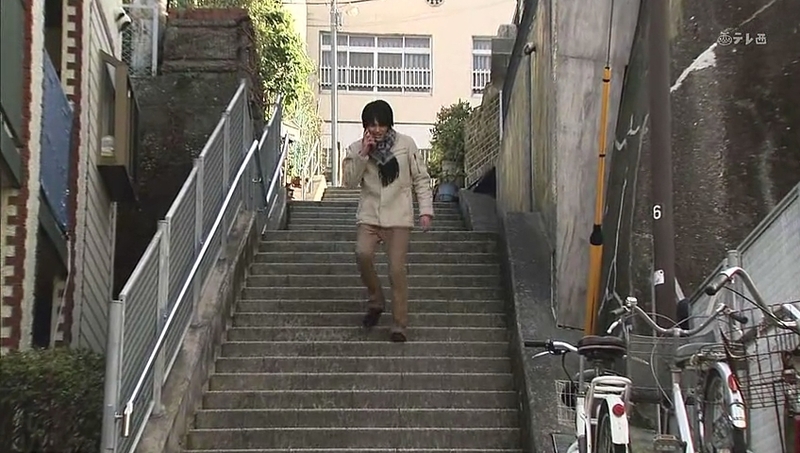 Meanwhile, Ryo himself is rushing home as fast as possible while trying to call his older brother. He begs Isao to quickly pick up the phone. It looks like Ryo was smart to investigate the missing Kurosawa boy instead of concentrating solely on saving Mitsuru (although the two seem to go hand in hand now). Isao’s phone rings in his bag, but he ignores it as he’s having a staring contest with Suematsu. The younger servant smiles broadly, surprising Isao. Suematsu then stands up and says that he has been waiting for this moment for a long time now. We then flashback to his mother asking Bunzo for money. His mother begs for money or else she will be in trouble. Bunzo didn’t believe she was really pregnant and if she was, how certain is she that the baby is really his. He pushes the woman to the ground and she asks if he wishes her to die with a baby. Bunzo doesn’t care and just heads upstairs. 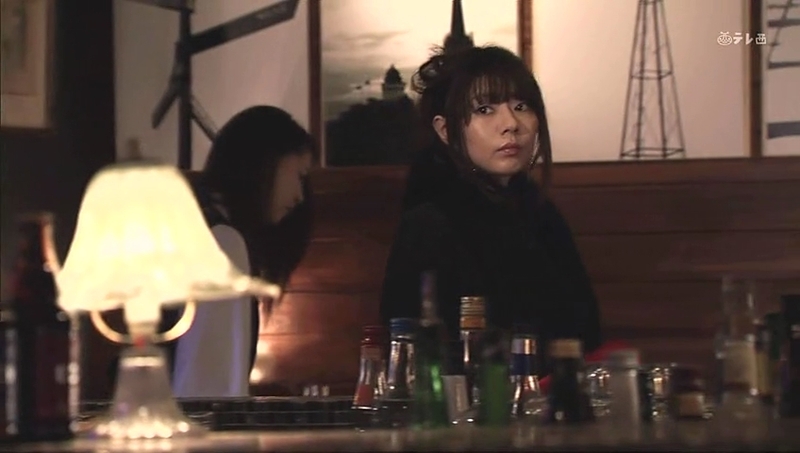 The woman leaves and that’s when Shiori gets the money and asked Yaeko to give it to the woman as that woman’s baby is innocent. Yaeko rushes out and delivers Shiori’s message. Later, she is called to the hospital and learns that the woman died giving birth to her son. She had Yaeko’s name in her address book, so that’s why the hospital called her. 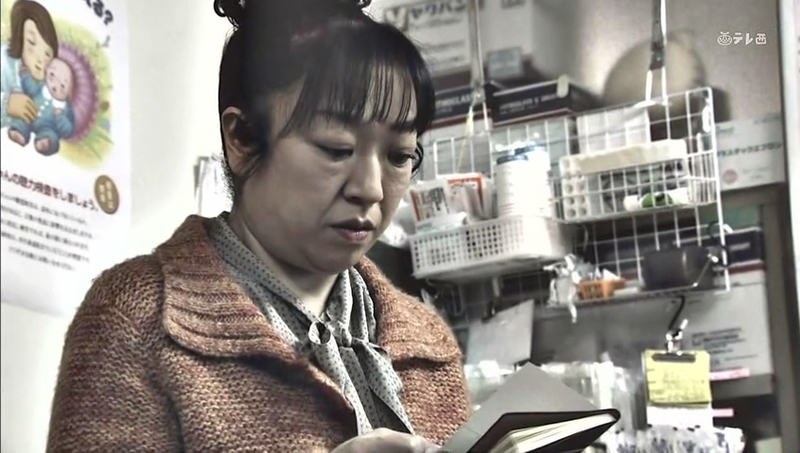 The doctor hands the address book over and tells her that they have to send the baby to an orphanage unless Yaeko has information about the child’s father. Yaeko lied and said she did not know the woman well and had no idea who the baby’s father is. Thus the baby ended up at the orphanage. Suematsu says Isao has finally realized. He had been getting so impatient waiting for them to realize. 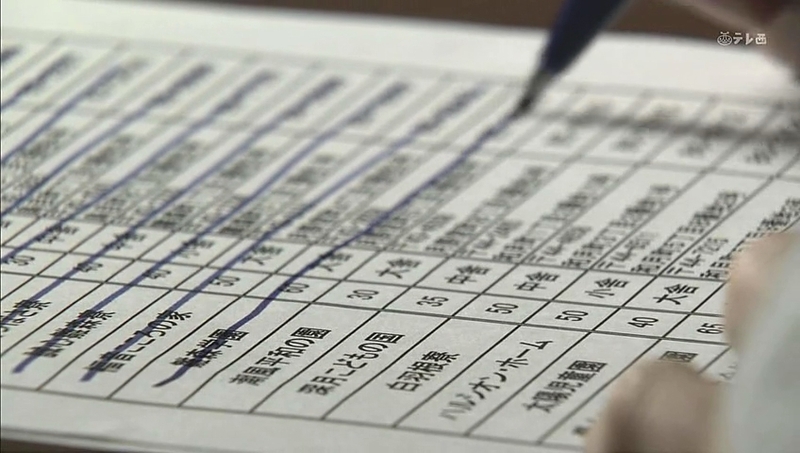 We then cut to another flashback of Suematsu taking his mother’s address book and using that to find information. He calls up one of the names and learns that his mother, Risa, left after getting in trouble with Kurosawa Bunzo. 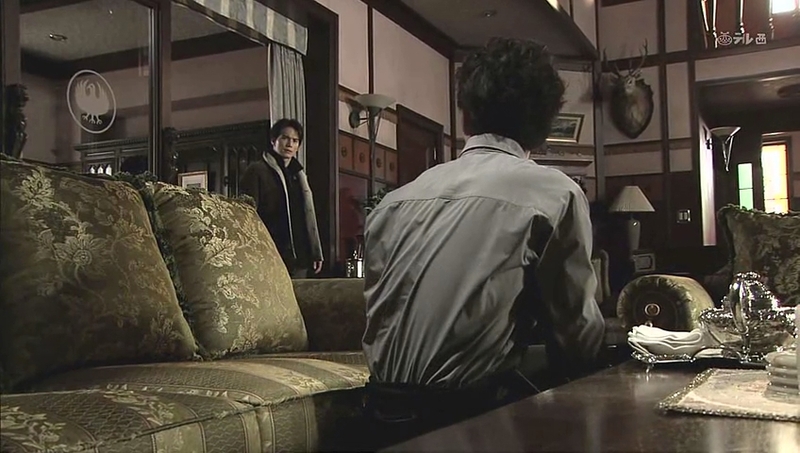 Suematsu then went to the Kurosawa house where he saw Isao and Ryo returning home (Ryo was still in high school). 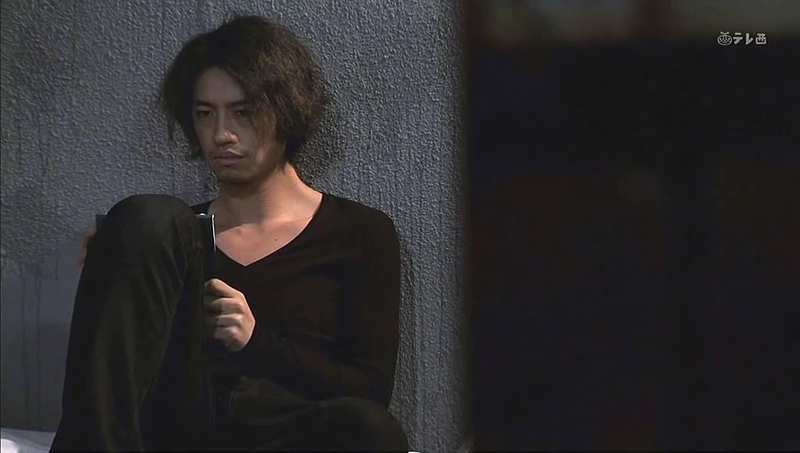 The flashback ends and Isao goes to ask if Suematsu is his younger brother, but Suematsu cuts him off. The father that was waiting to be murdered was killed and the good for nothing son was arrested. Is there a more perfect scenario than that? What is Suematsu talking about? Oh, come on, Isao, you’re not that stupid. Suematsu’s face darkens and we flashback to him stepping in front of Bunzo’s car as it was leaving the estate. Bunzo rolled down his window and the young Suematsu declares that he is Bunzo’s son as his mother’s friend told him so. Bunzo throws change at the young man and calls him a filthy beggar. Yeesh. Ryo wasn’t running home, but running to the police station! 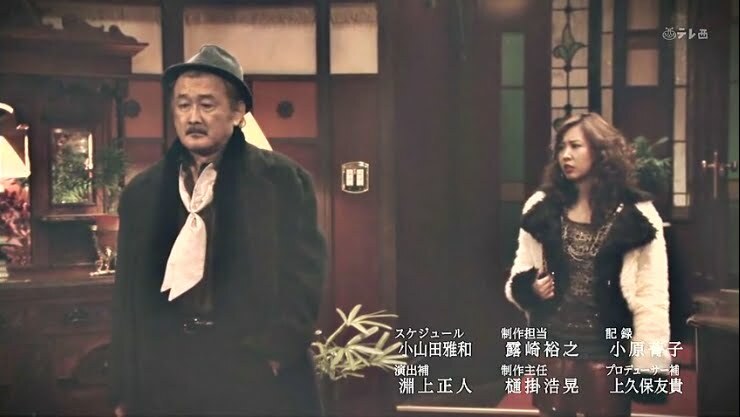 He asks Irie to come with him as there is one more person who has a motive to kill Bunzo that lived in the Kurosawa residence. He then shows Irie the picture. 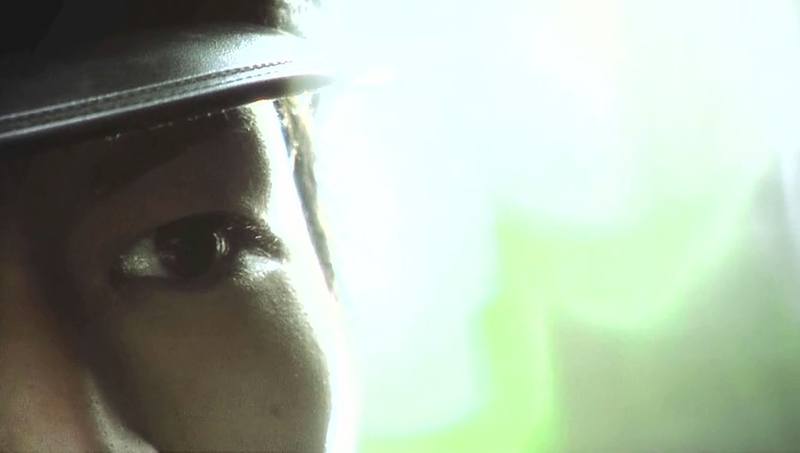 We then cut back to the flashback where the angry Suematsu glared at Bunzo’s departing car. At the Kurosawa house, Suematsu asks if he did an excellent job. Isao asks if the younger man killed Bunzo. Suematsu only looks at him. Isao then yells and demands an answer. 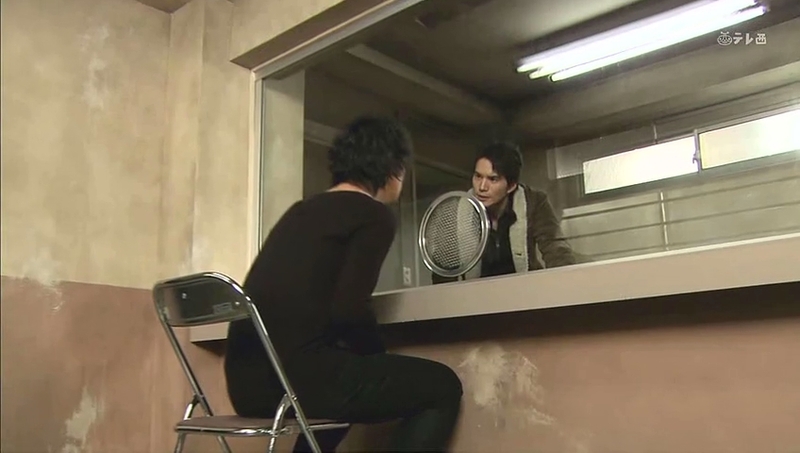 We then cut to crows flying away and Mitsuru looking anxiously outside his cell window. Irie sees the picture and calls for his partner to head out followed by Ryo. Meanwhile, Isao and Suematsu are still having a stare down while Misturu looks at the picture of him and his brothers with Shiori. We cut to Bunzo pouring himself a drink in his study and Suematsu creeping up behind him and clubbing him with the statuette. Wow. Well. I was hoping it wasn’t one of the three brothers. I’m happy it wasn’t any of them and admit to being surprised at the real killer. Our final episode airs this upcoming weekend and it looks intense. Will it be too late to save Isao from Suematsu and Mitsuru from the prosecution? Ah, what an agonizing wait.